The ongoing battery electric vehicle Cold War continues as Tesla CEO Elon Musk doused the fire with new fuel on his official Twitter feed. Specifically, there has been quite a bit of back and forth over the upcoming Tesla Model 3 and the 2017 Chevrolet Bolt EV. As we all know, the 2017 Bolt EV is on sale now (in select markets) with an EPA-certified range of 238 miles. As far as we’ve known, Tesla’s Model 3 will arrive with 215 miles of electric range. However, Musk responded to a pleading fan on Twitter, begging the CEO for the Model 3 to outgun the Bolt EV in the range war. Musk simply responded, “Oh so little faith.” This has led many to believe Tesla is working to eclipse 238 miles of range in its most affordable sedan. The largest battery the Model 3 can handle is Tesla’s 75 kWh unit, according to Motor Authority, which produces 249 miles of range in the Model S sedan. The 3’s smaller wheelbase means the 100 kWh battery simply won’t fit. Though it’s expected the most affordable Model 3 will arrive with the company’s 60 kWh battery, which is where the 215-mile range figure originally came from. It could be that Tesla will offer the 75 kWh battery as an upgrade to surpass the Bolt EV’s 238-mile figure. But, that will likely come at a price. The other option is Tesla has been busy tweaking the 60 kWh unit to edge out additional range, which theoretically, should be simple to do since the Model 3 is much smaller and lighter than the Model S.
Only Musk knows what his next vehicle will be capable of, but we shouldn’t be in the dark much longer; Tesla has stated production of the Model 3, with its $35,000 starting price, is expected to begin this June, just before the Bolt EV launches nationwide. A Model 3 can beat the Bolt EV range only if a Model S is pushing it!!! They could take FCA’s approach of just lying about the range or mileage. Chevrolet bolt has much higher range , then what it’s said. watch Chevrolet move these numbers up. A production M3 does not exist at this time. Musk is selling vaporware again. I would expect the 3 to beat the range as it is a larger car and will have a little larger battery. I wish people would stop comparing these two cars as they are like comparing a Malibu to a Sonic. They are two different sizes and two different takes on a car. When it comes to market the 3 will not be $35K either and by the time you get it optioned up it will be closer to the low to mid $50K range. Musk even stated the price will go up by intro. Also the cheaper car will be bare bones and not one many will buy. Keep in mind too that all the cars they sold that money is going into getting the 3 into production. That means they will sell a bunch of cars that they already spent the profits from. Talk about being upside down. 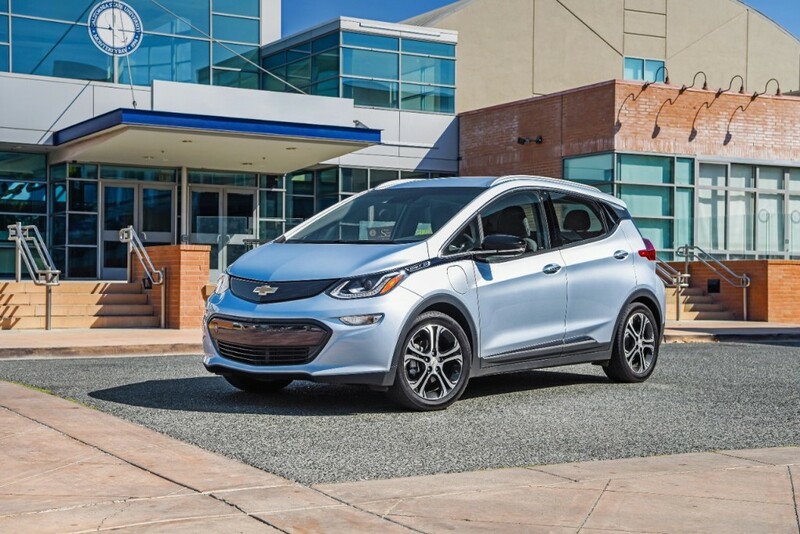 GM in the mean time will take the technology of the Bolt and apply it to other cars and other sizes while all the while making profits from their trucks and CUV lines that Musk lacks. The bias media loves the Musk angle as it plays like a drama with his quotes and pie in the sky dreams. His concerns are going to be the S model that is getting old fast and competition that is coming against it very soon. I see he just brought in another investor from China. It will be interesting how this drama will work out. Lets build two cars and neither company can use carbon tax credits and see which is more profitable.